Today, it’s almost impossible to find a vacation to a tropical destination that includes airfare and lodging for less than $500 per person. Those who know where and how to look, however, can easily end up on a sunny beach, or sipping mai tais at the bar of an all-inclusive resort, without having handed over five Benjamin Franklins for the whole experience. Need a bit of guidance getting there? Below are seven all-inclusive (or almost all-inclusive) tropical vacations with airfare under $500 per person. Note: The airfares, hotel rates, and vacation package prices in this story are sample prices only, and may vary depending on your specific travel dates. The Dominican Republic – The beaches of the Dominican Republic are as beautiful and as safe as any in the Caribbean, and round-trip flights to the island can cost as little as $250 from New York or Miami. Choice Hotels’ Ascend collection includes two all-inclusive resorts in the Dominican Republic with incredibly low nightly rates: Travel during the off seasons—spring and fall—and you can nab a stay at Emotions by Hodelpa Juan Dolio for as little as $53 per person per night, or at Emotions by Hodelpa Puerto Plata from $66 per person per night. Both are beachfront properties with a variety of all-you-can-eat restaurants, as well as outdoor pools, in-room fridges and microwaves, an on-site fitness center, and a location that’s within easy distance from the airport and major attractions. Members of the Choice Privileges Rewards Program also earn points by staying either resort. Pick the right dates, book a few nights, do the math, and you’ll have gotten yourself a Caribbean vacation that includes airfare, hotel, food, and beverages (yes, even the alcoholic kind) for under $500. The Cayman Islands – If you’re willing to think beyond the traditional tropical all-inclusive resort, you can easily end up in some of the Caribbean’s most unique and memorable accommodations. Airbnb lets locals and expats in the Cayman Islands host travelers who are willing to pay a nominal fee for the privilege of staying overnight and enjoying a few perks. The six-bedroom Coco Kai Beach Front Villa, for example, is indeed beachfront, right on a white Caribbean shore—and costs as little as $44 per person per night, depending on the size of your group. The property has its own swimming pool, and guests are welcome to use its kayaks, bicycles, cribs, and washer and dryer. Another Airbnb in the Caymans, called Beachfront Luxury at Rum Point, is exactly that—a lovely, on-the-beach townhouse where you’re invited to use the pool, kayaks, snorkeling gear, bicycles, and toys, and where the rate stays around $60 per person per night. Couple that with $200 airfare onto the island from Miami, and you’ve got yourself a four-night tropical getaway, complete with flights, for less than $500 per person. Jamaica – Round-trip flights from Florida to Montego Bay can cost as little as $200, and room rates at the beachfront Royal Decameron, an all-inclusive property on Montego Bay’s lively strip, can dip as low as $115 per night for travelers willing to travel in the off season, between mid-April and mid-December. The Royal Decameron is within easy walking distance of the city’s best hot spots, shops, and restaurants, though all your food is already taken care of on site. To stick to your budget, you can also stick to admission-free attractions in Jamaica—including Negril Cliffs and Castleton Gardens—and use local buses and taxis instead of renting a car. Oahu, Hawaii – Even just a few weeks ago, you couldn’t have dreamed of getting to Oahu and back, plus paying for a hotel, for less than $500. But Southwest Airlines may have changed the game. Though the airline’s introductory rate to Hawaii—$49 each way from California—sold out in just a few hours, there’s nothing to indicate that the company won’t be offering flash sales and limited-time airfares like that again. Southwest being Southwest, it’s probable that similar sale fares will pop up from time to time and, when they do, the trick will be to pull the booking trigger as quickly as possible. If you’re lucky enough to snag one of these low “Wanna Get Away” fares to Honolulu—or if you’re the lucky owner of a Southwest Companion Pass, which is actually fairly easy to get if you keep an eye out for associated credit card offers—Oahu has worthwhile low-budget lodgings that could help keep your tropical vacation total under $500, including the Coconut Waikiki Hotel, where rates start from just over $100 per night. Another option is the Shoreline Hotel Waikiki, where rates start under $150 per night. Once you’re there, Honolulu doesn’t have to be expensive, since the city has plenty of cheap street food and affordable restaurants—Moose McGillycuddy’s is a favorite for low-cost breakfasts—and bus transportation is easy and much less expensive than renting a car. Plus, many of Oahu’s most worthwhile attractions are free, including hiking up Diamond Head, paying tribute at Pearl Harbor’s USS Arizona, and sunbathing on Waikiki Beach. The Bahamas – It’s always a good time to cruise to the Bahamas. And if you’re setting sail from Florida, you can, without too much effort, find a four-night cruise for about the cost of a single hotel night in any major American city. A quick Expedia search brings up plenty of three- and four-night sailings from Florida that start under $300 per person, while Cruises.com offers a similar list. Cruise prices typically include all the food you can eat, live entertainment, and calls at ports such as Nassau, Freeport, and, often, private islands belonging to that cruise line. Cancun, Mexico – Searching Groupon’s air-inclusive vacation page for affordable trips to tropical places can yield some wonderful results. Though Groupon’s offerings change frequently, it’s common to see Cancun vacation package deals that include accommodations and airfare from a variety of U.S. cities. Once recent deal included flights and an all-inclusive resort stay at the fun All Ritmo Cancun Resort and Waterpark—for a total under $500 per person. Not only were airfare and lodging covered in that price, but so were food and drink, nightly entertainment, supervised kids’ activities, all hotel taxes and gratuities, Wi-Fi, and unlimited access to the resort’s on-site water park. If you’d prefer to book the elements of your Mexican Caribbean trip separately, it’s not difficult to find roundtrip airfare to Cancun from Miami for as little as $216 (especially if you’re looking to travel late in the fall), which you can pair with an affordable all-inclusive resort stay at a place like the Seadust Cancun Family Resort, where the low nightly rates cover food, drinks, and activities for all ages. 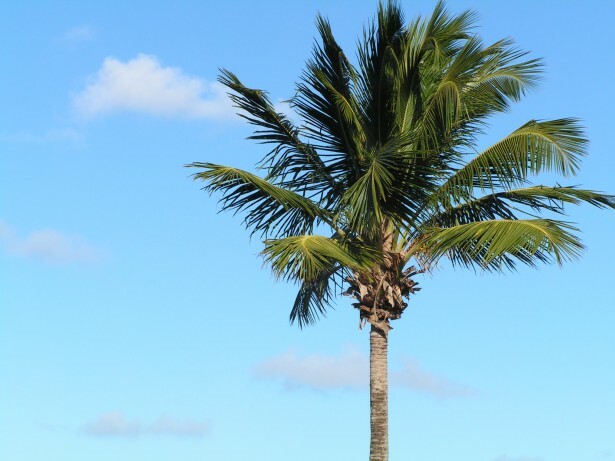 Florida – U.S. travelers looking to keep their tropical vacations under $500 don’t actually have to leave the contiguous part of their continent to laze on the beach while shaded by palm trees. Orbitz’s list of vacation package deals under $499 usually offers some worthwhile all-inclusive deals to Orlando. Likewise, Travelocity has a dedicated Flight + Hotel Deals Under $400 page that includes various packages to Miami and Orlando, with stays at properties like the Hilton Orlando and the Westgate South Beach Oceanfront Resort. If you’d rather book airfare and lodging separately, check out Expedia’s round-trip fares to Orlando for less than $100. Couple that with affordable lodgings, like the family-friendly Grove Resort Orlando—around $160 per night for a four-person suite—and you’ve got yourself a memorable tropical trip with the kids that won’t break the bank. Budget travelers could also opt for a Panama City Beach vacation, to enjoy that destination’s perpetual sunshine, Southern charm, and 27 miles of white sand beaches. Average round-trip airfare into Northwest Florida Beaches International Airport from Atlanta costs $200 per person. And rates at the condo-style Origin at Seahaven, across the street from the beach, can drop as low as $99 per night, making a two-night getaway here cost less than $500. If you want to keep your vacation under $500, check out the above and start your vacation knowing that it doesn’t have to cost a small fortune to enjoy a break. Boston Chauffeur provides limo and car service in 550 cities worldwide. When you book your ground transportation with us, we’ll make sure you make all your connections no matter where you are in the world. Call 978-921-4334 to get to where you need to go. Contact us at 978-921-4334 for reservations and pricing.